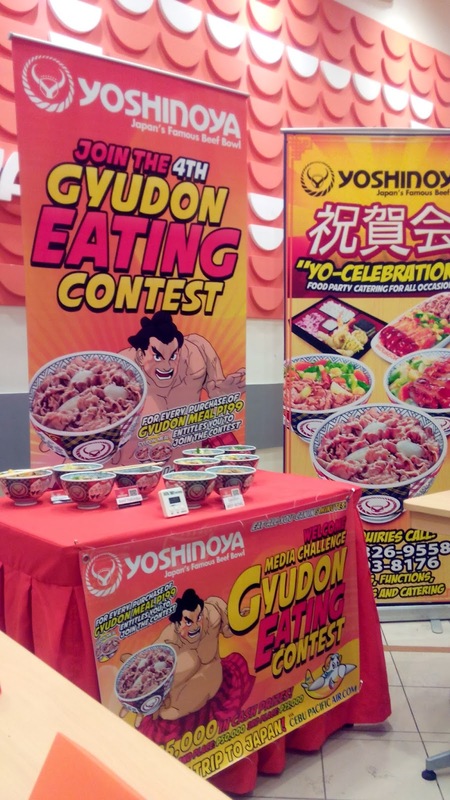 ***The Yoshinoya Gyudon eating contest is open to all male and female who are 18 years old and above. Qualifying rounds will be held daily from Monday to Friday beginning April 21 to May 30. 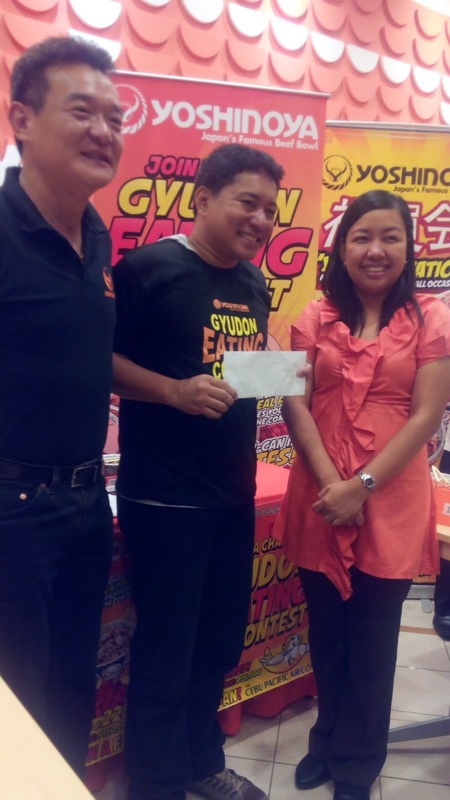 At stake are cash prizes worth P225K including trip to Japan. 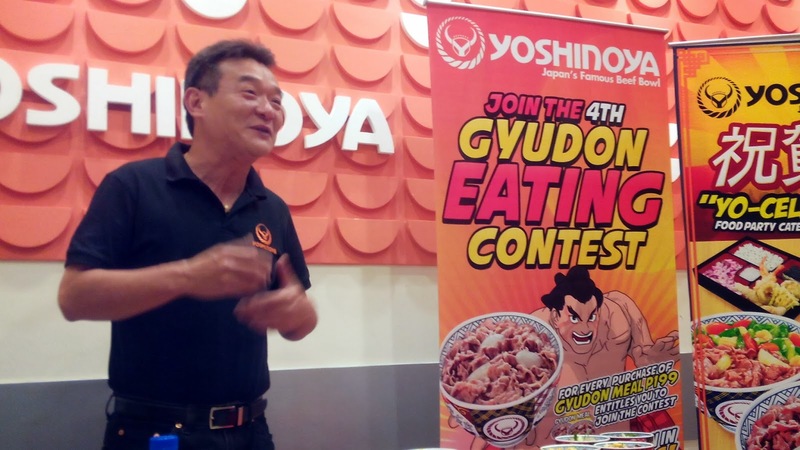 For more details, you may get in touch with the nearest Yoshinoya branch near you. 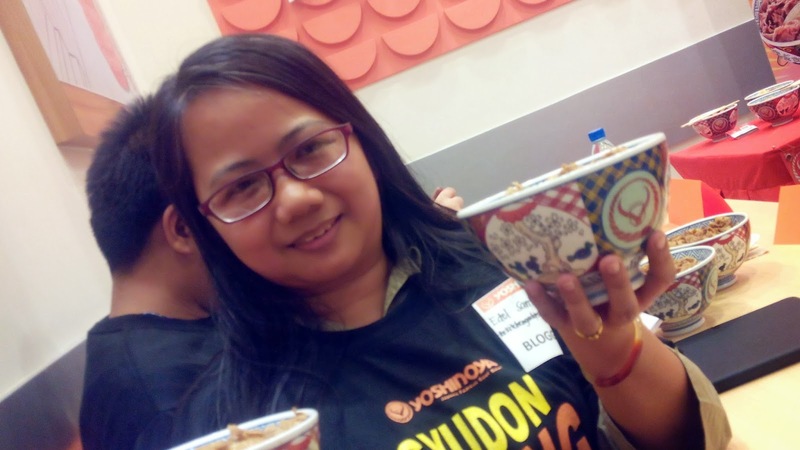 Blogger's Elimination Round- We were all given two bowls each of gyudon. 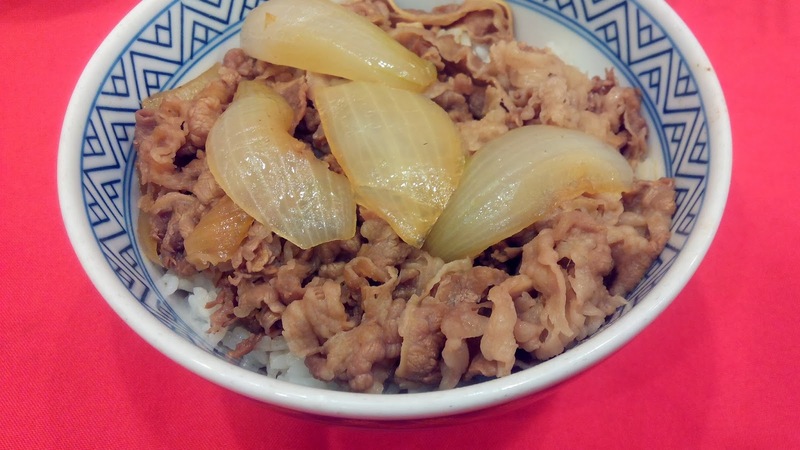 Bowls of gyudon were replenished as soon as one finishes a bowl. Mr. Timothy Yan happily cheers us to eat fast, eat fast! That's me trying to "daintily" wolf down my gyudon. Hahaha. 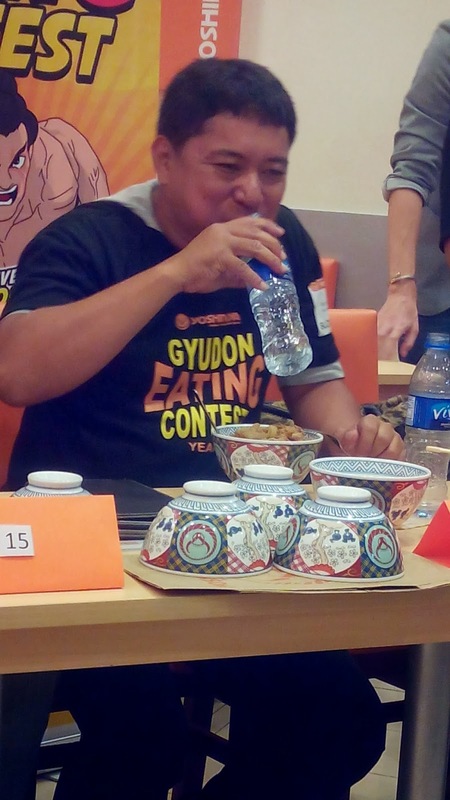 I mean, I'm such a slow eater that winning an eating contest is surreal. But I did try my best to finish my food although I wasn't able to touch my second bowl. My, my... look at that empty bowls! this looks yum sis! ok lang nde manalo, as long as you enjoyed the food.hehehe!